When Bobby Curtis steps to the starting line at next weekend’s ING New York City Marathon, it will mark a long progression in his running career. There will be points during the race he wonders how he even got there. There was a time when competing in a marathon, which Curtis will do for the first time next Saturday, wasn’t even an option and no way he thought 129 miles in one week were possible. He will think back on how times have changed. Regardless of the path he took, Curtis will join the likes of fellow elite runners Ed Moran, Lauren Fleshman and Molly Pritz who will all be making their marathon debuts in New York. The reasons for choosing to run a fall marathon all came down to timing for Curtis. Curtis was quick to point out the decision to run next weekend in New York does not change his mindset or goals for the coming year. He ran the second fastest 10,000-meter time by an American in 2011 of 27:24.67. 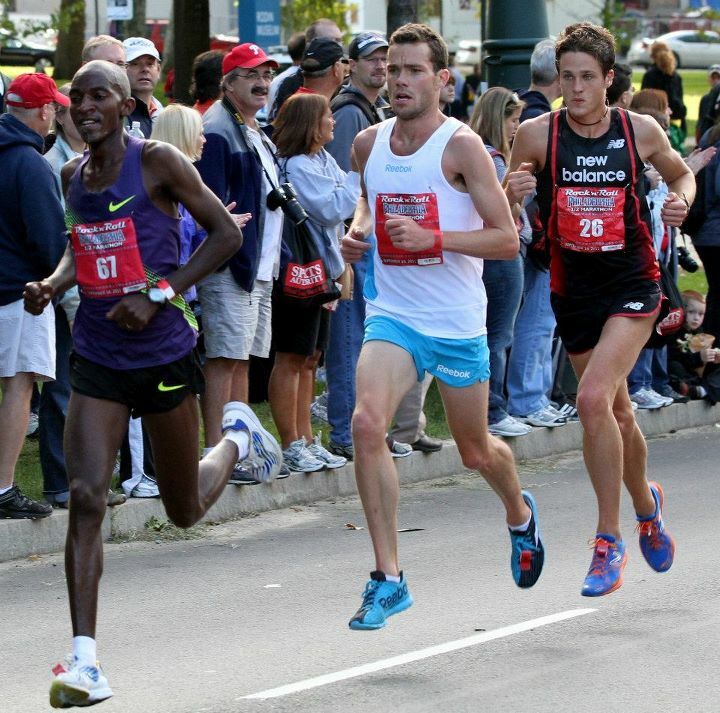 His goals are to represent Team USA at the 2012 Olympic Games in the 10,000m instead of the marathon. 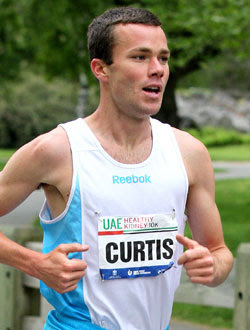 Ironically, his 2011 performance in the 10,000m also played a role in Curtis electing to run in the New York City Marathon. It was following his fourth place finish at the latest USA Outdoor Championships when, after missing a spot on the squad for the World Outdoor Championships, he began talk of a fall marathon. “It just worked out time-wise,” he said. “Running New York allowed me time to recover from the track season. It’s right before the (Olympic Marathon) Trials so not many of the top Americans will be focused on a fall marathon, which leaves it a bit open. While committed to the 10,000m on the track, there always stands the possibility of a breakout performance in the marathon. A performance good enough to make Curtis seriously consider running the Olympic Trials Marathon January 14 in Houston. With taking on anything for the first time comes a great deal of anxiety. There are numerous small issues that can arise through the duration of a 26.2-mile race. Curtis has sought the advice of 2004 Olympic marathon silver medalist Meb Keflezighi, 50 km American record holder Josh Cox and Mammoth Track Club coach Terrence Mahon to help in his preparation. Keflezighi will also be competing in the New York City Marathon and is the 2009 winner of the race. It was the progression to his first marathon that Curtis felt years ago would never be a possibility. Considering his path, it raises the question if the next step in his running career will be an ultra-marathon. “Not a chance,” Curtis quickly concluded.